Moderator: Patrick Oot, Partner, Shook, Hardy & Bacon LLP. Speakers: Hon. Kimberly C. Priest Johnson, U.S. Magistrate Judge, U.S. District Court Eastern District of Texas, Hon. Elizabeth D. Laporte, Magistrate Judge, U.S. District Court for the Northern District of California, Hon. Andrew J. Peck, US Magistrate Judge (ret. ), Senior Counsel, DLA Piper, Hon. Joy Conti, Chief District Judge, U.S. District Court, Western District of Pennsylvania. Photo: Carmen Natale/ALM. 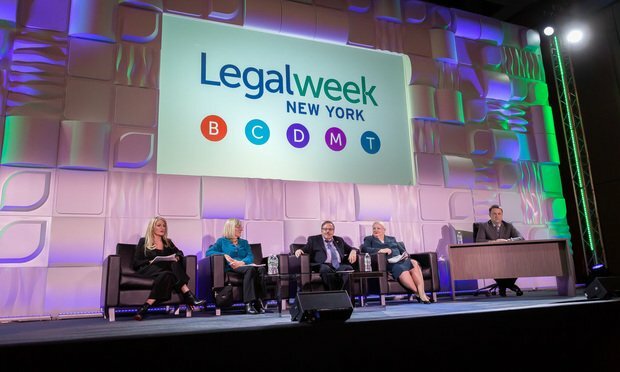 The second day of Legalweek 2019 closed out with a panel of current and retired federal judges discussing everything from the first time they became acquainted with e-discovery to what amendments to the 2015 Federal Rules of Civil Procedure are working.